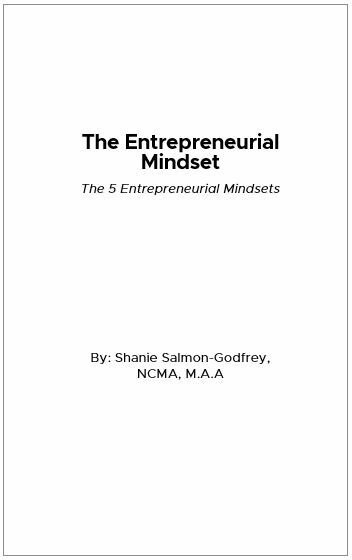 The Entrepreneurial Mindset was written for entrepreneurs of all industries and skillsets. This book will help you to identify the 5 Entrepreneurial mindsets that entrepreneurs must overcome along the entrepreneurial journey. You will learn how to identify the mindsets, with practical tools to overcome them. After reading this book, you will be passionate and fired up about launching that business. Not only will you learn the 5-entrepreneurial mindsets and how to overcome them, you will also learn how to grow your business and dominate your marketplace using the B.O.S.S. Up Method.